Above, Wedgeworth Construction Co. Inc.’s home The Amberly at 3582 Altadena Park Lane in Vestavia Hills is one of more than 70 homes featured on the GBAHB’s upcoming 2019 Spring Parade of Homes tour. Journal photo by Jordan Wald. 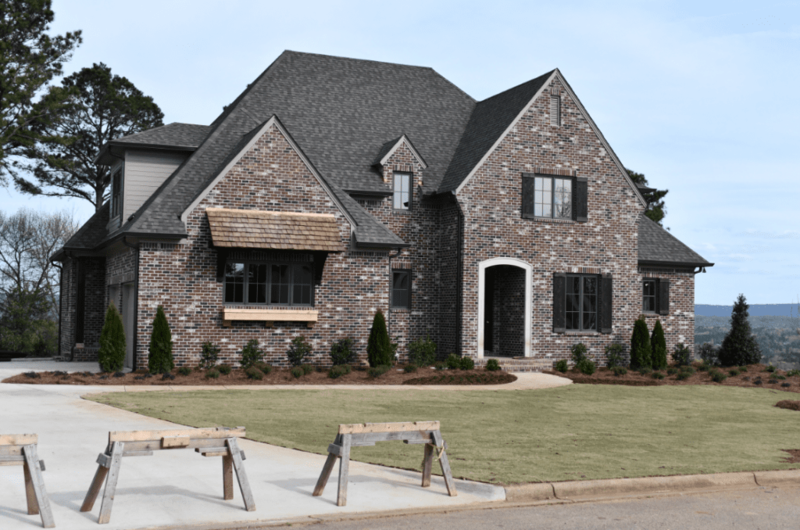 Whether you are a first-time home buyer or interested in remodeling, upgrading, downsizing or building, the Greater Birmingham Association of Home Builder’s 2019 Spring Parade of Homes has many items of interest to show you, with more than 70 homes and 26 builders. The annual event will be held over two weekends, April 26-28 and May 3-5, and the houses will be open Fridays and Saturdays, 10 a.m. to 6 p.m., and Sundays from noon to 6 p.m. Featured on the tour will be houses scattered throughout the Greater Birmingham area that are currently on the market, ranging from 1,300 to 5,700 square feet. A highlight of the parade will be the eighth annual GBAHB Ideal Home, featuring cutting-edge technology and the latest in-home design trends. The house was built by Kadco Homes and is located in The Cove at Overton in Vestavia Hills. Abingdon is Hoover’s first community specifically for active adults ages 55+ community, featuring resort-style amenities. A part of the Wilborn resort community, Abington offers a 300-acre park along the Cahaba River with canoe launches, 73 acres of outdoor hiking and biking trails, a 21-acre lake, wellness center with zero entry pool, an AstroTurf wiffle ball field, pickle ball court and residents-only clubhouse. Blackridge is a gated waterfront community in Hoover. Custom-built homes, both waterfront- and neighborhood-style, have access to the private 100-acre lake, the Cahaba River and the Craftsman-style clubhouse with swimming pool. Unlike any other Signature Homes community, one can bring their own builder to craft a custom lakefront or riverside getaway. A Signature Homes community set on a hilltop in Hoover, Brock Point showcases homes with 20-foot ceilings and 90-degree sliding glass doors. This enclave of homes surrounds a 13-acre private lake equipped with canoe launches. Amenities also include private pools and private wooded area. In the heart of Hoover, this Signature Homes community gives access to Lake Wilborn and nearby parks. Well-known among young professionals, Green Trails offers a fitness center, e-lounge, poolside Wi-Fi, 15 miles of biking trails, community garden and residents-only club. Griffin Park at Eagle Point is a new home community at the site of the former Eagle Point Golf Course in Shelby County. Amenities include walking paths, fishing lakes, sidewalks, a swimming pool and clubhouse. Harris Doyle Homes will be constructing their award-winning home designs on 182 homesites. The gated, retreat-like Eddleman Community near Chelsea sits on 1,700 acres spread out and down from the Appalachian ridges of Oak Mountain. Streets flow through the woods and around four private lakes stocked with fish. Signature Homes’ lakeside community in Hoover offers amenities such as canoe launches on the 21-acre lake, outdoor fitness trails, a hammock lounge, wellness center, zero-entry pool and 60-acre park along the Cahaba River. Located in Trussville, Longmeadow is situated just off of Interstate 59 and features a community swimming pool and clubhouse. It is minutes from shopping, dining and entertainment, as well as being an easy commute to downtown Birmingham. This North Shelby County community features walkable neighborhoods, a fishing lake and green spaces. It incorporates a town center with restaurants and shops, a public library, Mt Laurel Elementary School and Hilltop Montessori School. True to the Signature Homes way, Riverwoods features large homesites, designer finishes and a welcoming community. This community in Helena is built along the Cahaba River. Riverwoods includes a private lake and two green spaces. This Vestavia Hills community is on the corner of Rocky Ridge Road and Wisteria Drive and offers 45 custom-built homes. In addition to homes built by Taylor Burton Company, Southbend includes the 2018 Ideal Home, by AGH Homes Inc.
A Hoover community known for its festivals and art shows, the 300-acre neighborhood backs up to Moss Rock Preserve and features houses built in classic American architectural styles. Amenities include a town center with restaurants and shops, walking trails and a town hall. Located just across the road from Mt Laurel, this North Shelby County community features walkable streets, parks, trails, a pool, cabanas and access to Mt Laurel Elementary School. This planned community offers Hoover-area amenities that include a canoe and kayak launch, 20-acre lake, fitness center, community garden, a grand lawn, wiffle ball park and more than 15 miles of hiking and biking trails. Willow Branch is a subdivision in Chelsea. There are a variety of floor plans to meet individual family’s needs, including 2- and 3-car garages. Willow Branch offers sidewalks, a clubhouse and a swimming pool. Additional neighborhoods that will be included in the Parade of Homes route are Grey Oaks, Creekview Estates and Flagstone. For more information, visit birminghamparadeofhomes.com or download the app.